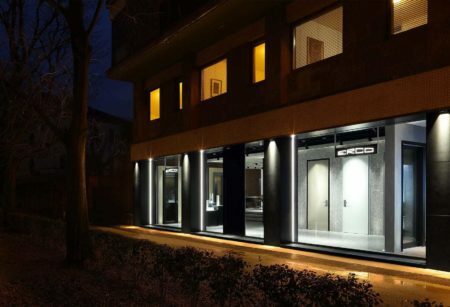 The Ercole Flagship Ercole store is in Via Dandolo close to the pedestrianised area, and clearly visible from the street. It was designed entirely by Giuseppe Bavuso, and presents 120 square metres of exhibition space to show off the innovative technological products and materials in the SHADE and DRY collections of doors and windows, themselves designed by Bavuso. 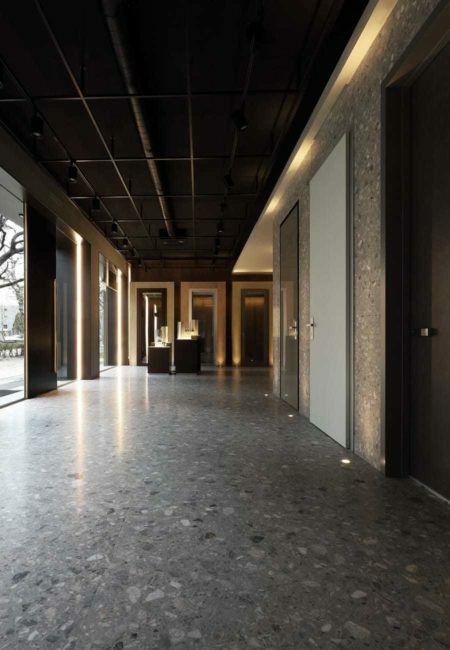 The store is a focal point for a new concept in doors and windows, raising their status from that of boundary between the indoors and the outdoors to that of interior design elements in their own right. Find the official Erco point of sale nearest you If you can’t find it, click here.